With little in the way of leads and a journalist that seems to know more about the case than she does, Jessica is already feeling the pressure – and that’s before a second body shows up in identical circumstances to the first. 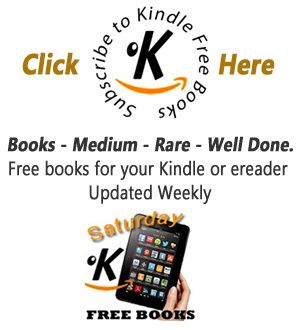 I feel that I may have joined the Kerry Wilkinson party a little late, looking at the phenomenal success he has enjoyed from self publishing to major book deal, but better late than never! 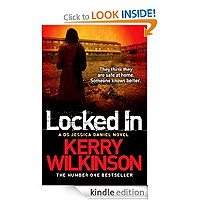 I fair raced through `Locked In' the first DS Jessica Daniel investigation, an engaging police procedural set on the mean streets of Manchester and setting the scene for a series worthy of attention. I think what I liked most about the book was the character of Jessica herself, as unlike many other crime authors, Wilkinson has made her wholly believable. She has no weird obsessions, no strange sexual attraction to her older boss, no addictive habits and apart from her, at times, hilarious angry outbursts as she doesn't suffer fools gladly, and is portrayed as a decent, focused and determined, detective. Wilkinson seems to have a knack for identifying those elements of modern life that rankle the most, and through Jessica gets a chance to vent his spleen so to speak, through her blunt turn of phrase and tendency towards sarcasm. I really liked her interaction and sense of playfulness with her police colleague DC Dave Rowlands and nerdy reporter Garry Ashford (yes, the unconventional spelling and tweed jacket annoyed me as well!) and her steadfast refusal to conform to certain expectations of her in terms of wardrobe and updating her old and loved car, which is widely ridiculed amongst her colleagues. The characterisation of both Jessica and the other central players generally felt very natural, and the dialogue flowed easily throughout the book engaging us further with the characters. The setting of inner city Manchester is well realised and the locations come across as authentic, highlighting the social and economic disparities of any large British city, rotating between the deprivation of some areas and the comfort of suburban communities. In terms of plot and narrative this was a steady enough police procedural, with the intriguing central premise of seemingly random murder victims discovered in completely locked abodes, leading to the utterly imaginative dubbing of the killer by the press as the `Houdini Srangler'. I thought that Wilkinson did as much as he could to conceal the killer's identity for as long as physically possible given the natural revelations of the investigation, but for me alarm bells were ringing early and alas I was proved right with my Holmesian skills of detection- ha! But joking aside, if there was a slight blip in the plotting for me, I have in no way been deterred as I have since read the second book `Vigilante' (which I also enjoyed) and am halfway through the third `The Woman In Black' which is distinctly darker in tone, thus establishing the fact that I'm really quite keen on this series already. `Think of the Children' is the latest addition and no doubt I will seek this one out as well. A good find, and a perfect series for those looking for a new take on the British police procedural. I chose this book as my first "kindle-read" the reviews told me I should expect a book which I couldn't put down and I wasn't disappointed. The story line had me needing to know more right from the start both about the plot and the books main characters. The plot is excellent as it twists and turns right to the very last page, the cliff hanging chapter ends and clever reveals made sure I could barely put it down and the sense of beginning to get to know the main character Jessica Daniel made sure I started reading Kerry Wilkinson's second book Vigilante (Jessica Daniel Book 2) the day I finished "Locked in".